The RAM-B-102U-C RAM 1" Ball, 6" Arm, 2xDiamond Base from the RAM Mount Bases range is made of a pair of diamond bases connected to a long double socket arm. The two diamond bases are roughly 2.43” by 1.31”, with a pair of holes that are 1.912” apart on either end of the base. 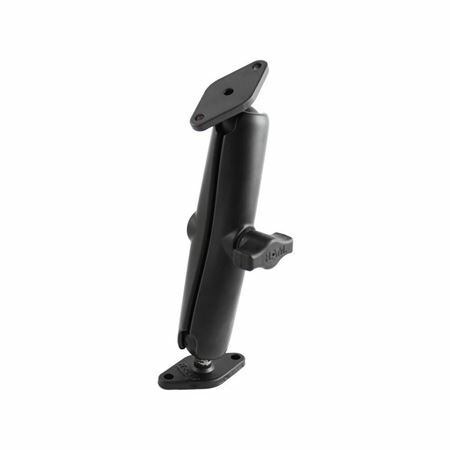 This hole design is compatible with many cradles, both RAM and other brands in the industry.